UPPSC RO ARO Result 2015 Prelim Declared Merit List Main Exam Date Main Exam Application form Application fee start & last date - uppsc.up.gov.in. Latest News on 20.07.2015: Uttar Pradesh Public Service Commission (UPPSC) has declared result of written test held on 26 April 2015 for 640 (637+03) Review Officer (RO) and Assistant Review Officer (ARO) in various divisions. The result has declared on 20 July 2015 in which 14318 candidates has qualified in pre-examination for RO & ARO Etc (Main) (Gen/ SPL) Exam-2014 Post: Review Officer (ACT). The roll number wise list has available in PDF file on official website www.uppsc.up.nic.in. UPPSC has released press notice about result statics and answer keys date. The qualified candidates will be called for main examination held on 29 August 2015 for RO/ ARO posts. The press note will be published to inform candidates about main exam application form, fee submission and important dates. The detailed information will be available on official website www.uppsc.up.nic.in. or www.uppsc.org.in. UPPSC will release scorecard of the candidates and answer keys of written test within one week (up to 27.07.2015) on official website. The process to download scorecard is very easy. You can download your scorecard by clicking on the direct link given below. Enter your registration number and date of birth to the blank columns given on the screen. Enter the verification code available on the image. Press the submit button. You scorecard / Marks list will be appeared on the screen. The written test answer keys will be available in PDF. Just click on the direct link given below and download answer keys to match your answer. (If primary link does not work, then use the alternate link given above). In advertisement, candidates will be selected on the basis on performance in written test (pre & main) and typing test was mentioned. · Total 69529 Candidates had attended pre-examination (written test). · The written test was successfully conducted on 26.04.2015 by Pen and Paper Mode. Written test was a multiple choice questions (MCQ) paper containing three parts Part 1, Part 2 and Part 3. 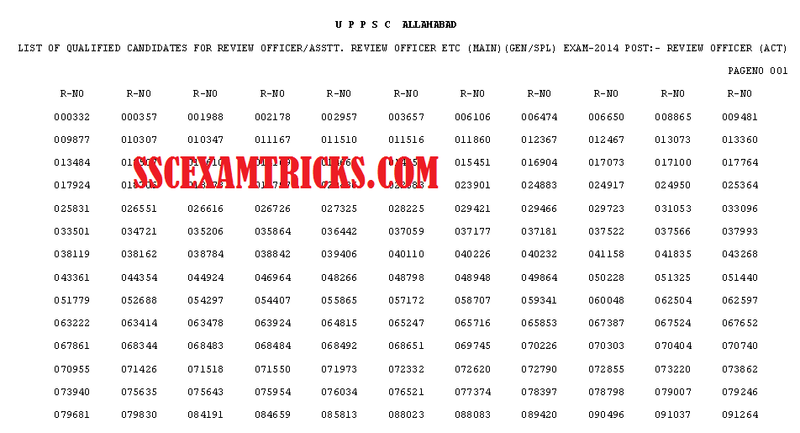 · Four alternate answers were given in question paper and candidates had to select one correct answer among these alternative answers in OMR sheet. · Questions were asked from various topics - General Studies & General Hindi. The exam was of 200 marks and total time duration was 2 hours or 120 minutes. · The result has been declared now and shortlisted candidates list has published for further proceedings.